With PITOPS you can improve industrial production process control and machine control by reducing oscillations, improving disturbance rejection, reducing control error and improving response times. Both industry and colleges need PITOPS to make practical (process) control applications easy to learn and apply. PITOPS is the control engineer's toolbox. It is like a screw-driver for an electrician. It is practical and easy to learn and use. It performs PID control simulation and advanced process control simulation in the time-domain. There is no need to understand Laplace or Z-transform. There is no need to write code or to drag-and-drop and wire process blocks. You can also test PITOPS during 1 month: request this free trial by clicking the 'free trial' button below. If you prefer a personal interactive demonstration of PITOPS and an opportunity to discuss a specific topic with our engineers, please request a private demonstration. Free trial version, demonstration, more information? "Our engineers have been using PITOPS for almost a decade. Many of them say and feel “We cannot live without PITOPS”. We have just renewed license for the latest version of PITOPS that was released in 2013." "SIMCET and PITOPS are ten times faster and probably twenty times easier than what we had before. We are using both these tools for various semester-based courses and the students love them. Both have helped us to far more easily explain process control concepts better than ever before. And best of all, these tools can be used also in industry – not just colleges." 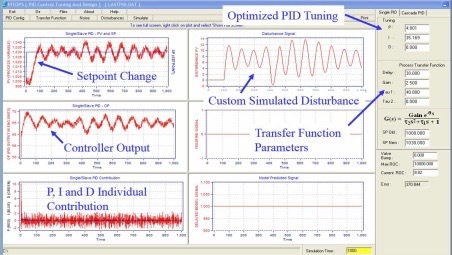 PITOPS™ is more practical, more effective and easier to learn and use than competing PID tuning products. It has unique capabilities to identify process parameters in a robust manner despite the presence of all kinds of disturbances. It will find the best PID and advanced process control parameters for the objectives that are important for you and on control simulations that accurately mimic your actual (process) control problem. PITOPS™ is safe: it does not replace the existing controllers or DCS and it does not modify the control loop settings autonomously. Instead, it runs on a Windows PC and suggests better settings for the controller parameters. It shows the to be expected control improvement on the PC screen by simulating the old and new process control behavior. These better values for P, I, D and other controller parameters can subsequently be set by its user on the controller by making the modifications through the PLC, DCS or SCADA system. Simultaneous, multivariate system identification of the transfer functions between multiple process inputs and a particular process output, despite the presence of other measured disturbances. Powerful yet easy to use software interface. Transfer function identification using closed-loop data, open-loop data or a mixture of both. 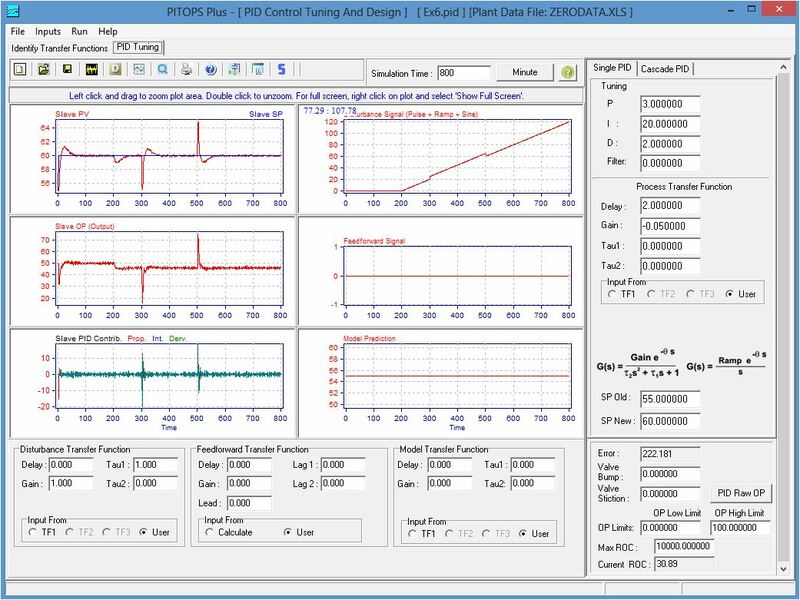 You do not need to take your PID controller in manual or conduct special step tests. Identifies Control Valve Stiction or Deadband and optimizes PID parameters to deal with them. Simultaneous optimization of Master and Slave PID loops. 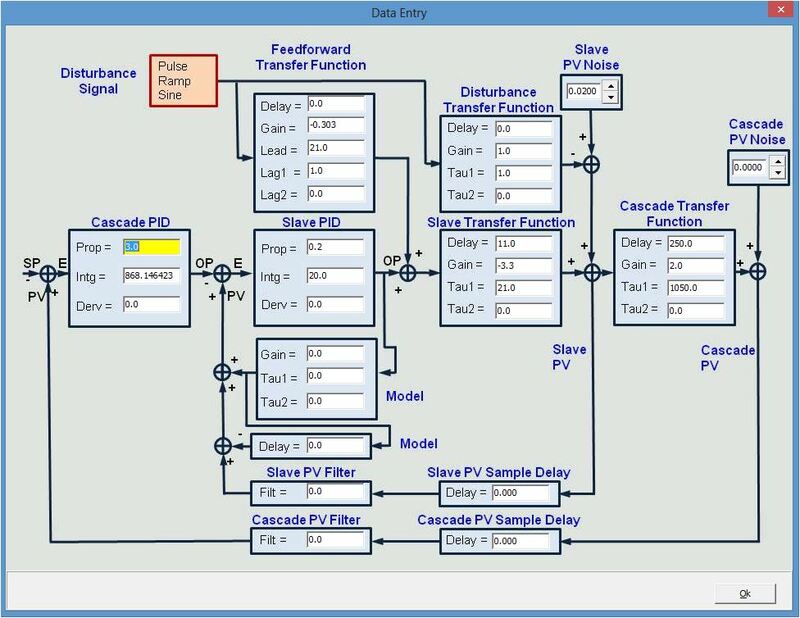 Support for non-linear process behavior and analyzer PV sample delays. Simulate and optimize gap action control.